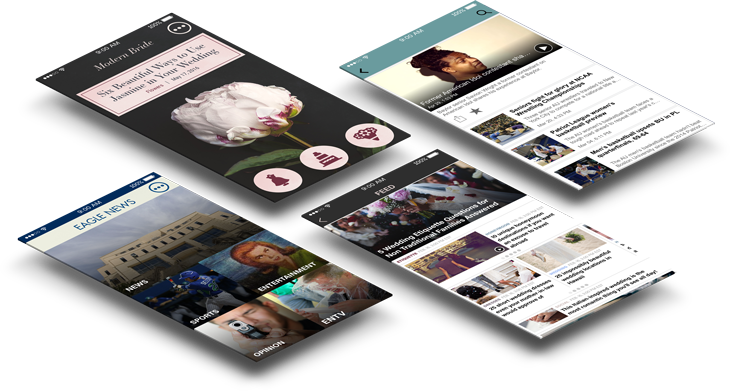 Working with news and media organizations to build, manage and monetize high-quality mobile apps. Customized for each business, we develop mobile apps that engage an audience and add value to an end-user. Our experience in digital media and mobile development is trusted by 100+ companies; and our technology has been tested with millions of downloads. 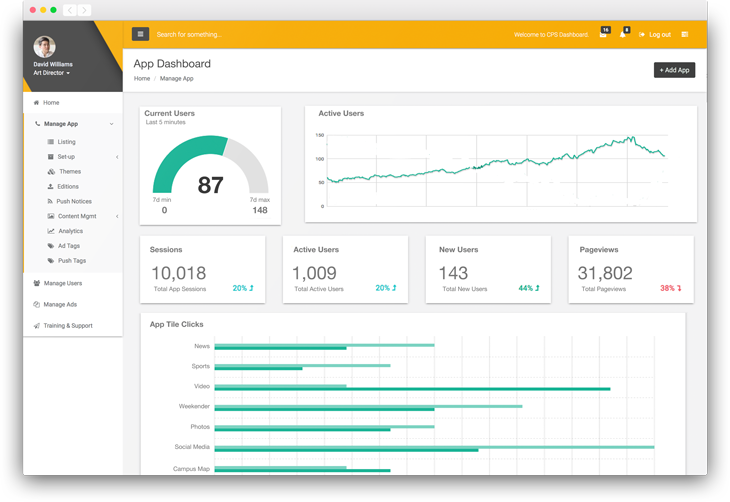 Each app is built around an online dashboard that simplifies the app management process. This empowers publishers to focus on real app benefits like engaging their mobile-first audience and increasing digital revenues beyond mobile web. 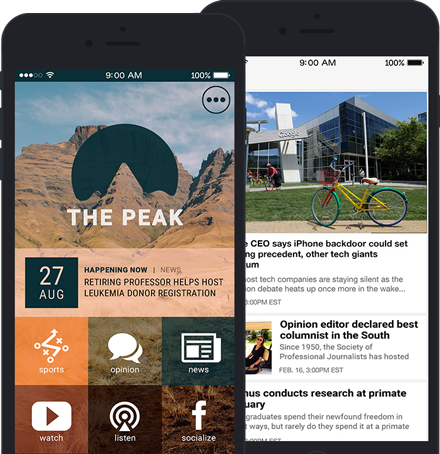 Instantly push articles, videos, photos and other media to your app by connecting existing content management systems and other streaming channels. 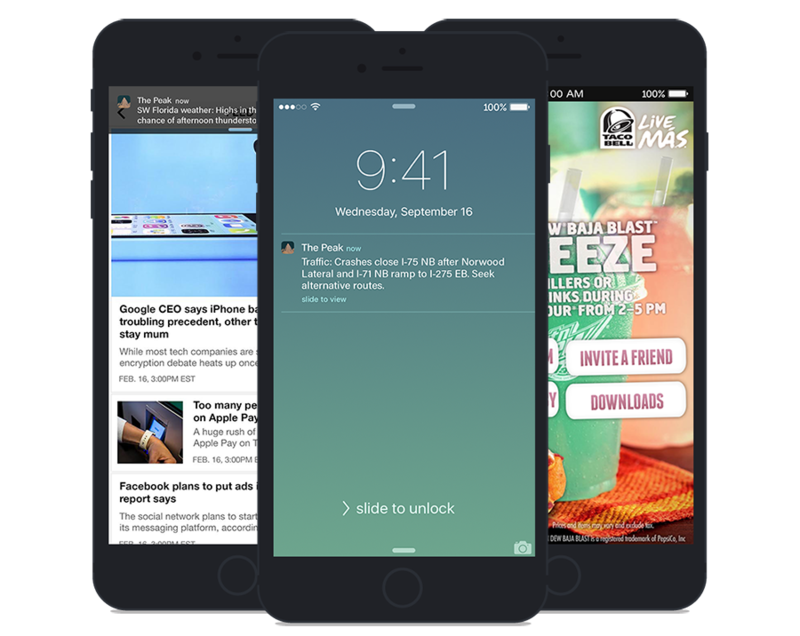 Push notifications serve the ultimate engagement opportunity for news and media organizations. Send breaking news, sports scores, weather updates, traffic alerts and more. Our apps can be packed with native display and sponsorship ad options that can be sold locally and backfilled by ad networks. With no interruption from ad-blockers, publishers can effectively sell and serve a variety of ad campaigns. Get to know and understand your mobile audience through detailed analytics. Metrics like app downloads, usage patterns and content engagement provide the foundation to maximize usage, readership and revenues. Connect Publisher Solutions offers a range of services, support and price options fit for small, medium and large operations. Whether you are launching a new app or transferring users from an existing app, contact us for a personalized call. Connect Publisher Solutions works with news and media organizations to build, manage and monetize a mobile first audience. Customized for each publisher and organization, we develop mobile apps that engage an audience and add value to an end-user.